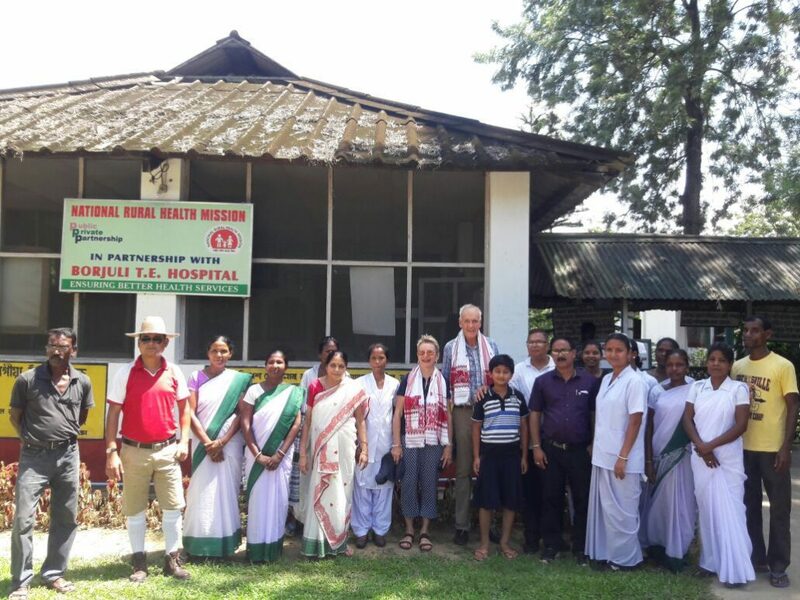 Rupert Jameson and his wife (centre) with staff members of Borjuli Tea Estate hospital. From Philippines, his home for the last six years, 81-year-old Rupert Jameson, a British citizen has been searching for information on his Irish father, Dr Ernest Tooke Jameson stay in India more than 100 years ago. Rupert arrived in Assam last week with his wife, Renata, 77, having traced back his father’s life as a Doctor in Borjuli tea garden in Tezpur, Assam in 1928. The octogenarian, an ex Nestle employee has painstakingly put pieces of history together to find his road back to Assam. “Apeejay Tea estate and Hospital team gave us a tour of the hospital where my father worked in 1928. Along with the hospital staff headed by the medical officer now and reviewed the operations of the hospital as of today. Various surgical tools, bandage gauge carrying box of my father’s era were all in glass cases, preserved, I suppose as souvenirs of the time when my father worked in the hospital,” he said. “Hosting him and his wife here at our Borjuli hospital where his father served the past generation of the communities who we as a team now serve was one of my best experiences so far. Late Dr Jameson’s bungalow does not exist anymore which was sad because we do have many heritage bungalows on our various estates but Mr Jameson and his wife spent a lot of time at his father’s workplace with the medical team,” Rehman said. Presently Borjuli Hospital is a 30 bedded one operating in PPP (public private partnership) under the National Rural Health Mission. Jameson assumed his father, who graduated in 1907 for his thesis, ‘The Treatment of the Epileptic’. The thesis was published in the Dublin Journal of Medical Science, Vol. CXXV in 1908 and soon after he got a job offer in India. “In 1912, the Polo Team of which he was the captain, won in Bishnauth. The Trophy of the match was sponsored by Williamson Magor & Co. The silver cup is in my possession and was one of the biggest clues back to Assam. I have evidence that he left Assam only once for one year, in WW-I, when he was sent as a Medical Officer, to Mesopotamia (now Iraq) where he had to operate on a barge in the river Euphrates where he had to amputate limbs without modern anaesthetics,” he said. “This experience left him with white hair. After one year, he returned to his former job in India in Assam. I have more family roots in tea which I have yet to research – a William Jameson who was in charge of the Botanical Gardens in Saharanpur, Uttar Pradesh in the 19th century and developed tea varieties suitable for growing in the Kangra valley and returned to Scotland in 1875,” he added. 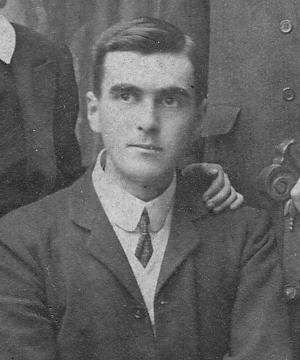 Jameson’s father, Ernest Tooke Jameson MD was born on June 14, 1882 in Dublin Ireland and passed away prematurely in 1950 due to kidney failure when he was 13-year-old. Today, 81-years-old Rupert is back in India and finding his family’s roots. Today is also the 136th birthday of father whose work and life was searching for in Assam.